I was toying with the idea. 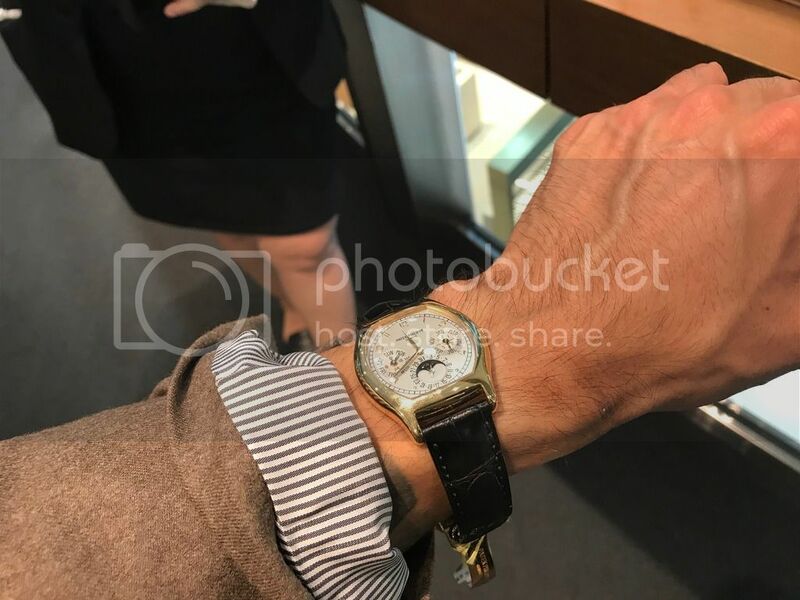 I have a round 7 1/4" wrist and not sure if the watch looks too small? Both look small on your wrist. But maybe I'm wrong. 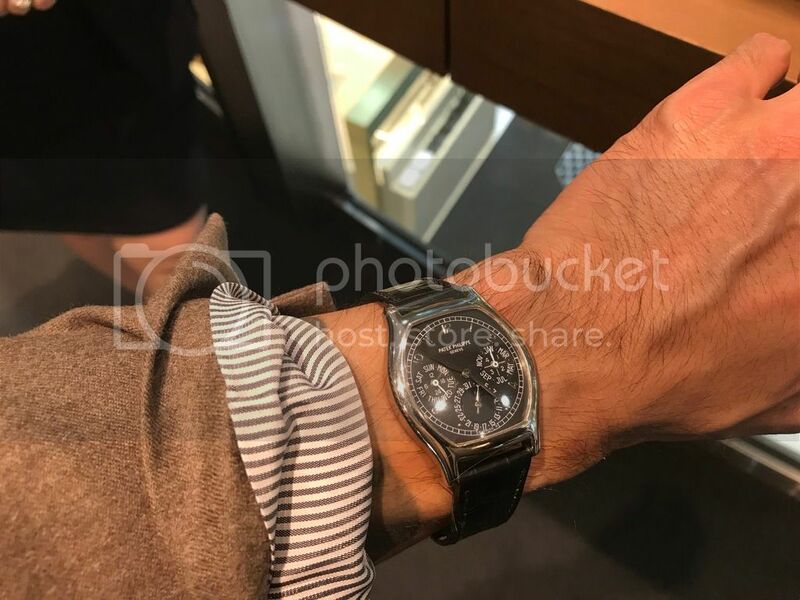 Watch looks fine on your wrist, but after you pull the trigger and you think it is to small. I will be glad to take it off of your hands for a significant discount. By the way I like the white one best. Thank you for your replies. I have a 44mm IWC and a 39mm AP. Even compared to the 39mm AP, PP wears much smaller. I would consider it more at moderate price but at the current asking, 5040 might take a bump to end of my wish list. Not too small. Really cannot go too big or too small. Its a matter of personal taste and preference. I love the black dial, its not too small IMO. It fits perfectly. White dial seems to be easy to read and has more contrast. Couldn't ask for a better looking and classy PP. congrats. Next Topic: What do I have to do to find a 5167?